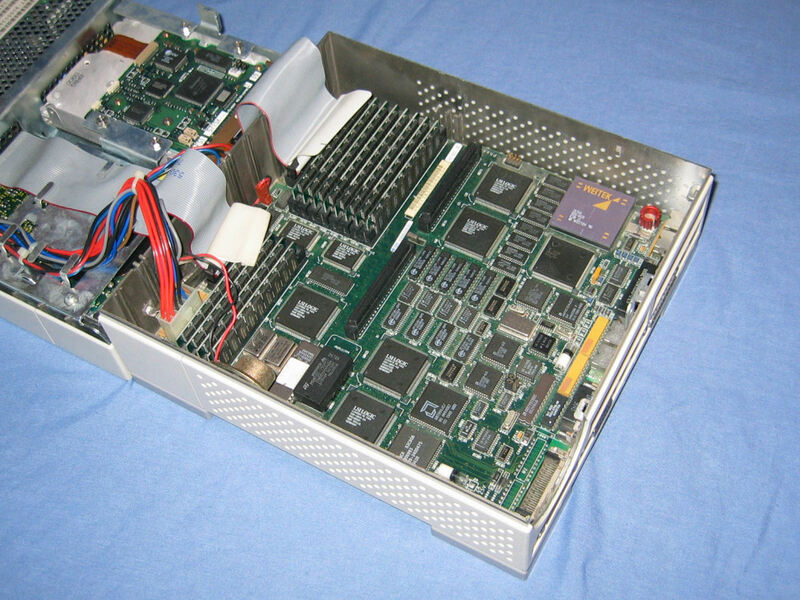 In February 2006 I obtained this unit via eBay. Unfortunately the power supply appears to have a serious issue and it will not power on (this is how I got it). 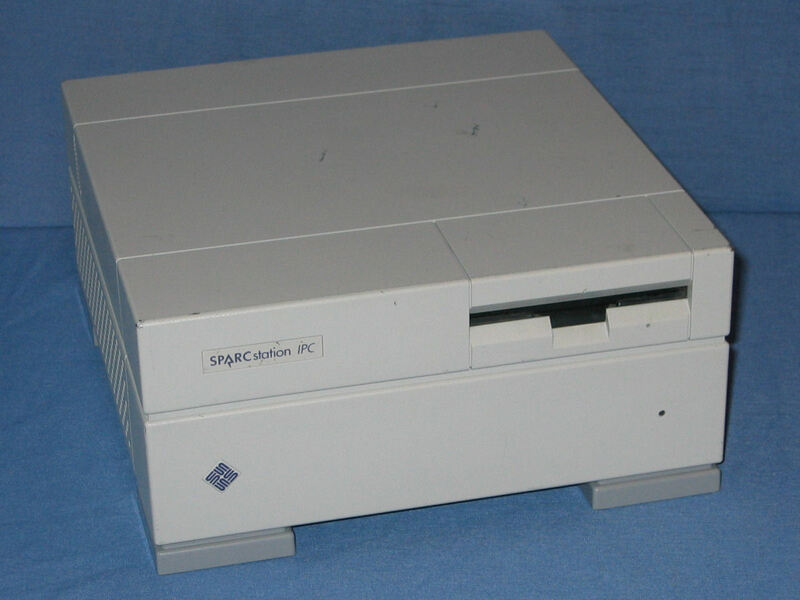 The front of the IPC unit features a power indicator and a floppy drive. 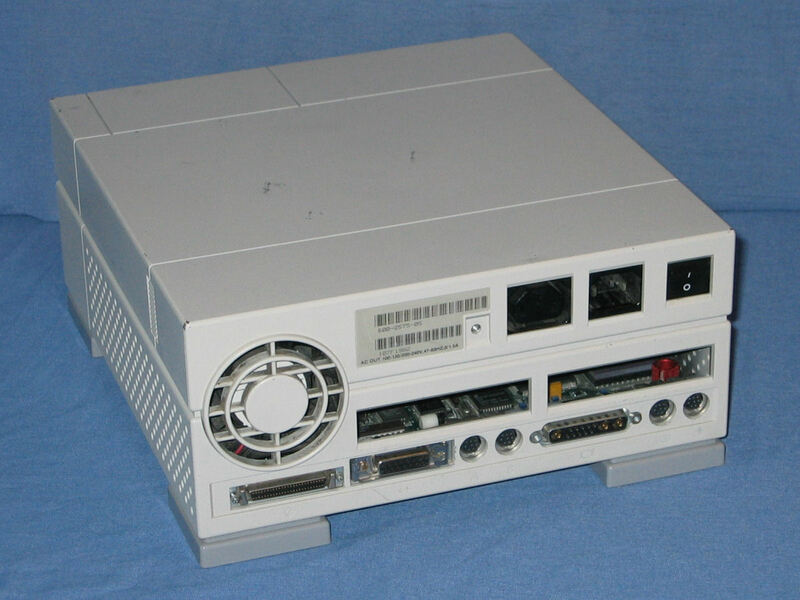 The rear of the unit features a standard complement of ports (SCSI, AUI, two serial, 13W3 display, keyboard/mouse, audio) across the bottom with two SBUS slots above. The case opens up in two parts with the logic board in the bottom half. 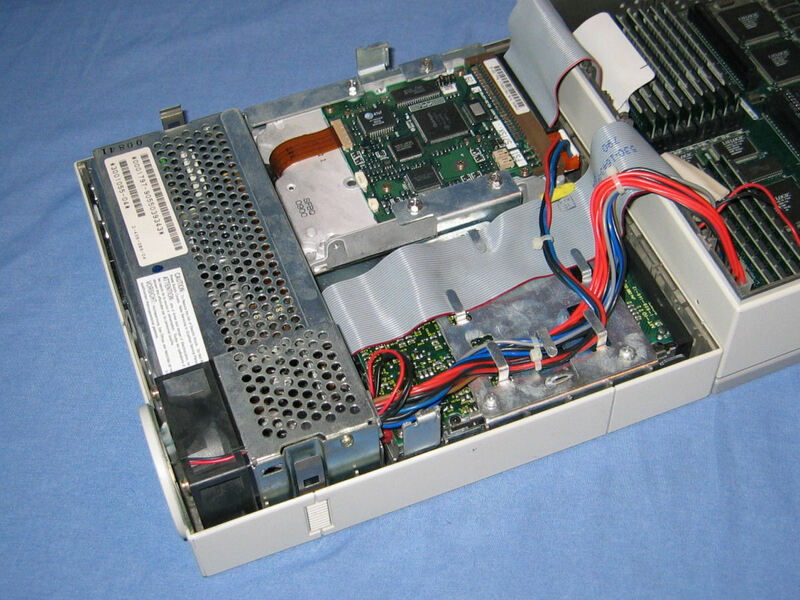 The top half of the case features the power supply, floppy drive and hard drive. 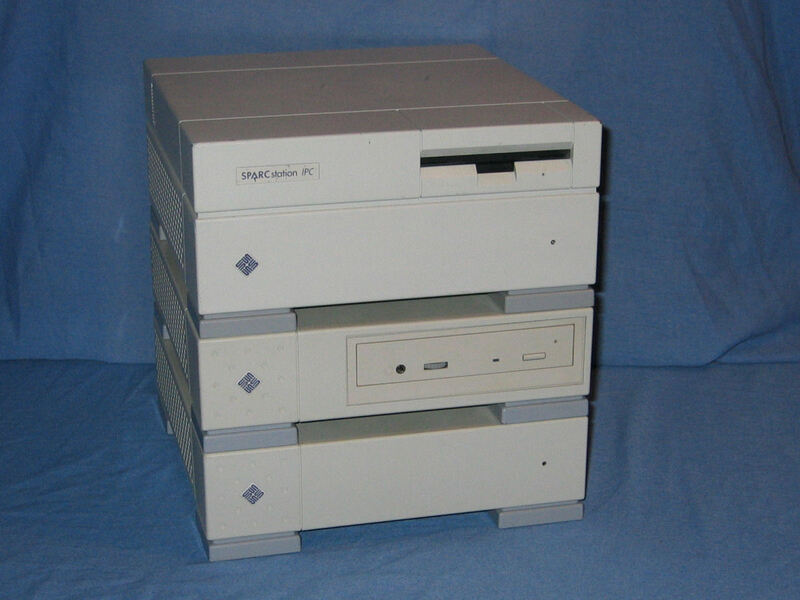 The IPC has the same styling and dimensions of the 411 series of external enclosures which makes it look at home when stacked on top of these CD-ROM and hard drive cases.